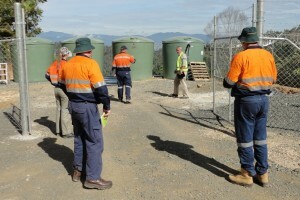 James technologies has developed a great reputation for assisting Companies by supplying high quality staff to assist with Electrical Supervision and Inspection. Jamestech Management has extensive knowledge of all Electrical Statutory and Licensing requirements and support all our staff at no extra costs where expert assistance is required on site. With Jamestech being a Licensed Electrical Contractor (Accredited Master Electrician) and a Registered Training Organisation, we understand what your Regulatory Authorities Require. Whether Abroad or within Australia, Jamestech guarantee our employees are correctly trained and the employees licenses are always acceptable to the Specific Governing Authority. 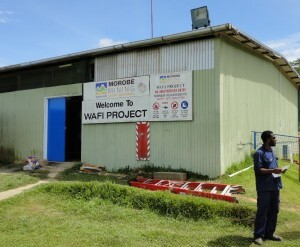 James technologies Electrical Supervisors, Tony Deverall and Peter Johnson have been contracted to provide Supervision and Compliance for the MMJV Wafi Golpu Project in Morobe Province, PNG. With the Wafi project owners requesting the site adhere to all PNG mining standards as well as Australian Mining and Electrical Regulations, Standards and Codes of Practise, Jamestech was their choice to supervise construction.